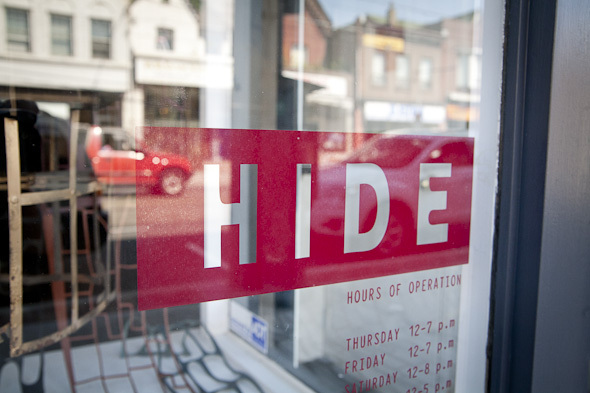 Hide is a new Dundas West shop specializing in leather accessories. The name is perhaps a bit literal for my taste, but the style is totally up my alley. That is; clean, structured, and classic. 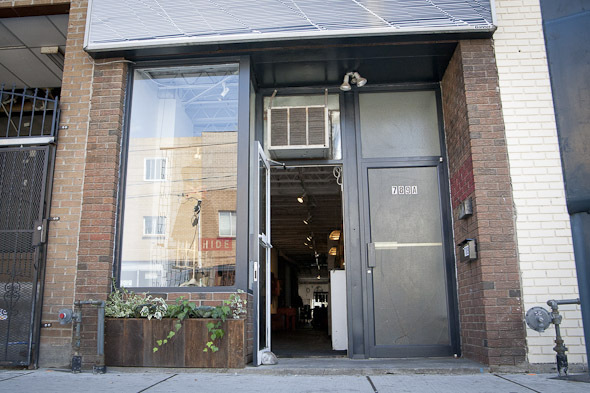 At Dundas and Palmerston, sisters Sandra (who handles the business) and Suzanna (creative) decided to open up their own shop after years of filling wholesale orders out of a Queen West studio space. "Moving around to trade shows, not being sure when the next order will come in, it can be tiresome," Sandra explains when I ask why they decided to look for a storefront. 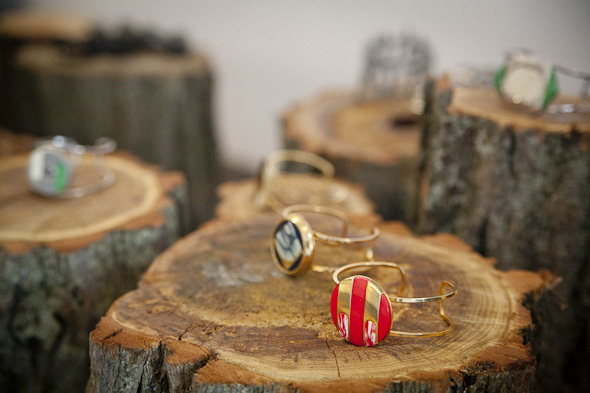 "My sister," she continues, "has been a designer for 10 years. She's mostly self-taught." 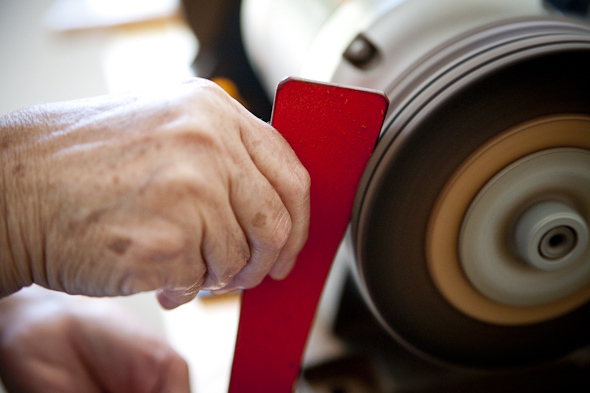 While self-taught might evoke thoughts of broken seams and rough edges, you won't find any of that here. 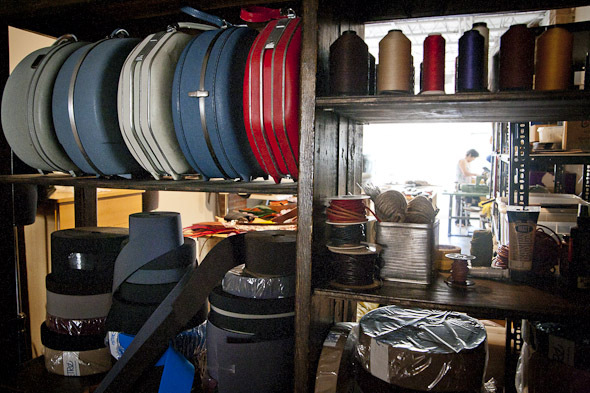 Hide's bags and belts look impeccably constructed, and with little variation between like pieces, you'd think they were stamped from a machine rather than cut in the studio at the back of the store. 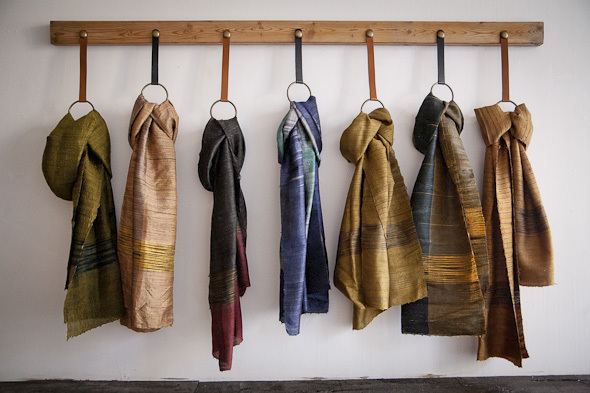 "A lot of what she works with is vegetable tan leather," Sandra says. 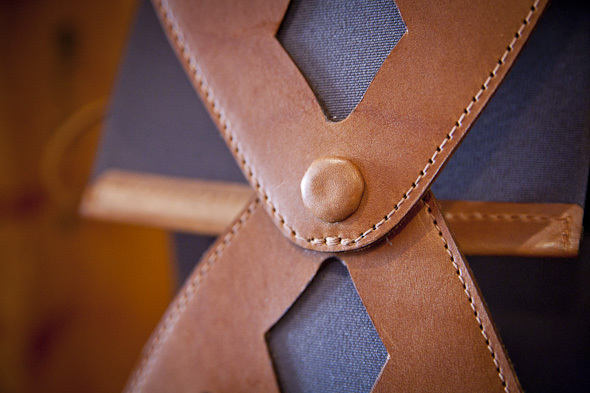 "The process to make this kind of leather has been around since the Renaissance." Sandra goes on to explain that the leather is tanned using vegetable matter, which results in a matte, dry finish. The sisters source their hide from a specialty distributor out of Tuscany, eventually turning them into purses, belts, and bags. The green carrier displayed in a vintage wooden crate by the front of the store is the showstopper by far, cut in a classic, structured, unisex design. Priced at $450, it's certainly an investment piece, and Sandra tells me customers can order it in their choice of available colours. 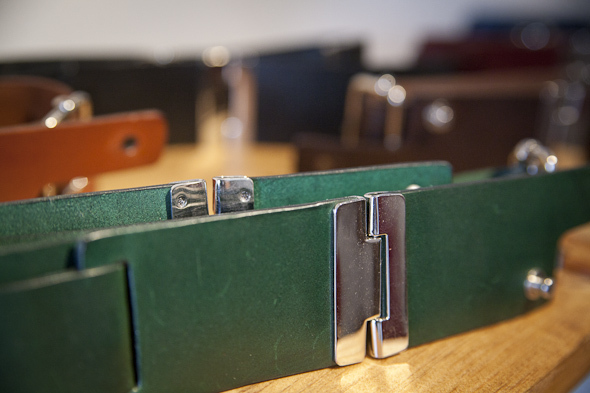 Many of the belts are made from the same type of leather, fixed with clasps and other hardware imported from Italy. The exceptions are the super-soft women's lambskin wrap belts, available in a variety of colours for $145. As I inspect the goods, Suzanna comes out from the back studio holding a newly minted gold chain necklace with petals of vegetable tan leather floating from the ends ($140). I'm enamored immediately, and she adds it the glass case of other jewellery, some of which is made here and others are imported from Italy. "See here?" she says, lifting one of the petals. 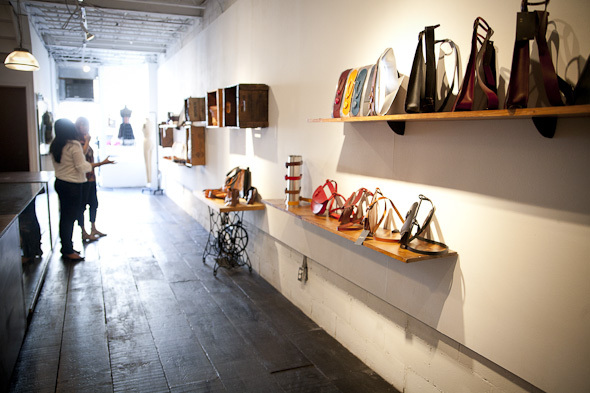 Then she points to a set of cutout handbags displayed on the opposite shelf. "These are the pieces I took out of there. We like to make sure that nothing goes to waste." Hide also plans to introduce clothing--with or without leather scrap adornment--in the next few weeks.